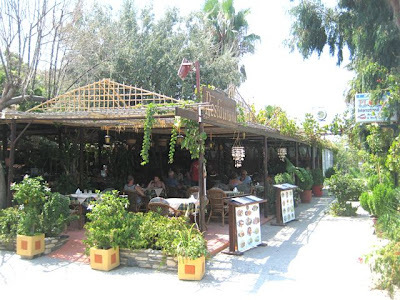 I was in the mood for some Greek food so we popped over to the island of Kos, off the coast of Turkey. 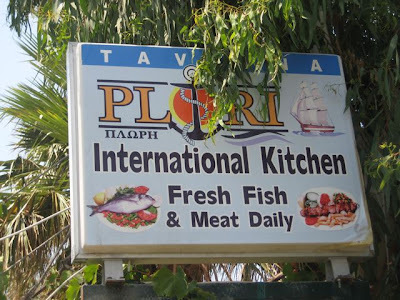 Our favorite place was a seafood spot called Plori on Tigaki Beach. 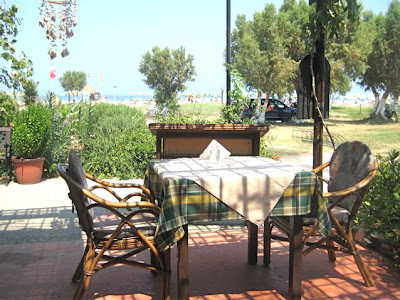 Someone told us later that there were even better places with fresh fish a little further down the beach. Maybe next time. 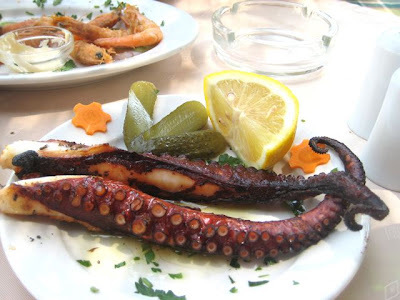 V couldn't get enough of Plori's grilled octopus. 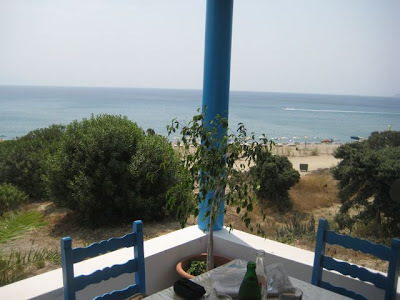 We also had a memorable lunch at Markos Beach. There was only one simple place. I didn't catch the name. There was a lovely view, but the menu didn't look too good at first. 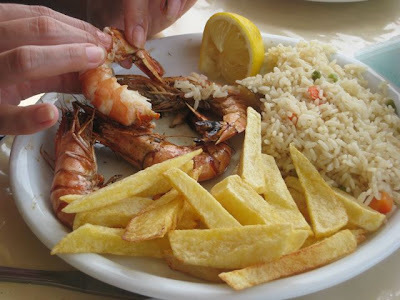 But V saw that the one fresh seafood option they had was grilled shrimp. And they were terrific. And only 10 euros. 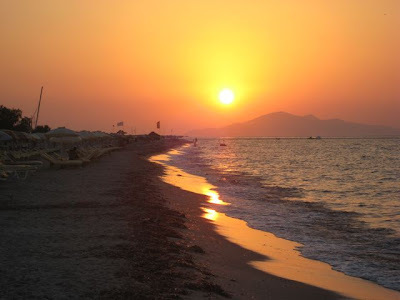 Kos wasn't the most beautiful island we've seen. 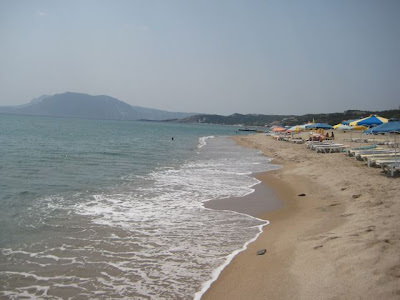 But the combination of the sea, the sandy beaches, the hot sun, and simple fun, made for a very nice holiday break. Alas, the sun has set. Hurry up and go to Folegandros before it gets too popular.